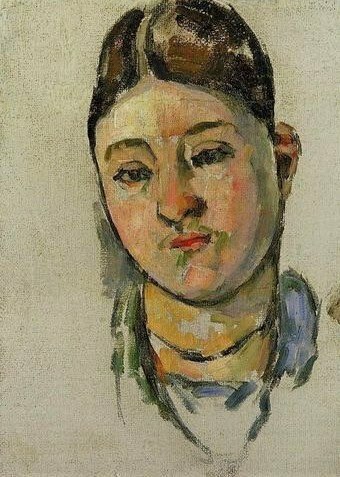 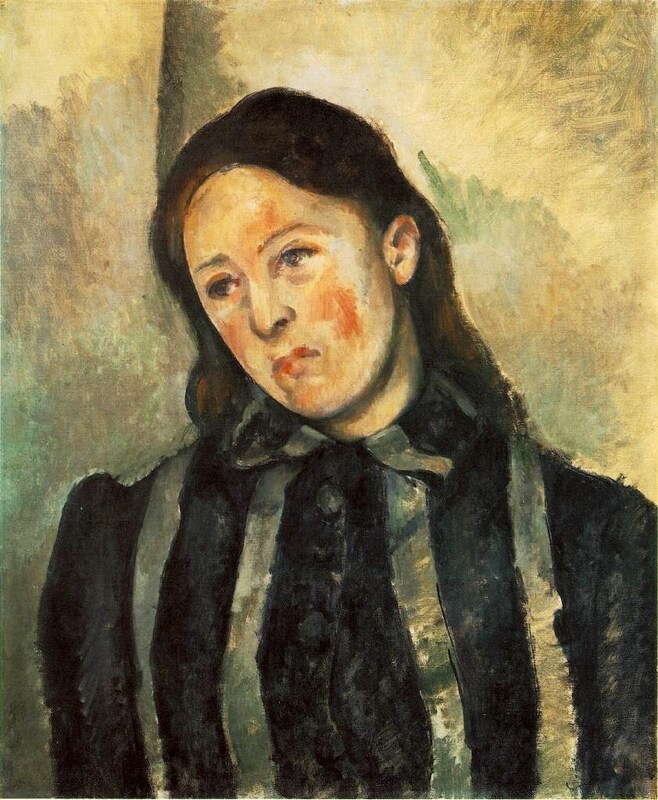 Paul Cézanne (French painter, 1839–1906) became a Post-Impressionist painter whose work laid the foundations of the transition from the 19th century conception of art to a new & radically different concept of art in the 20th century. 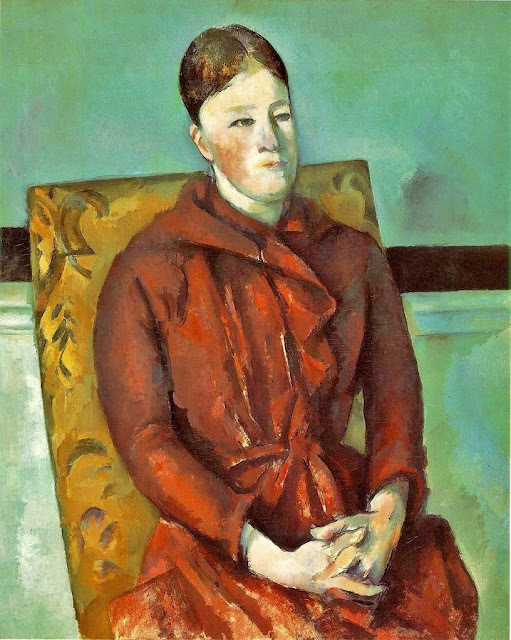 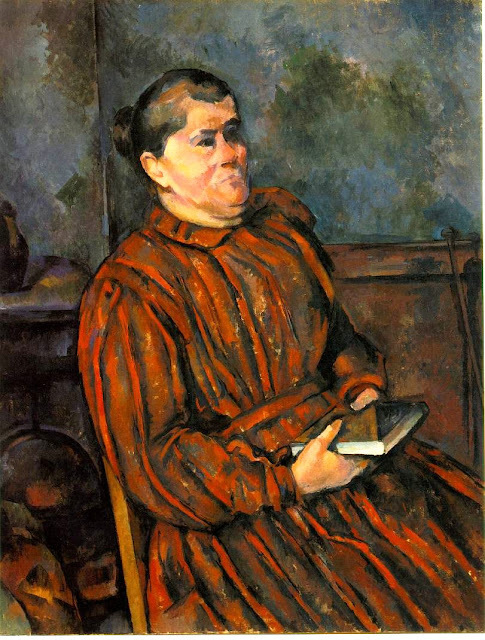 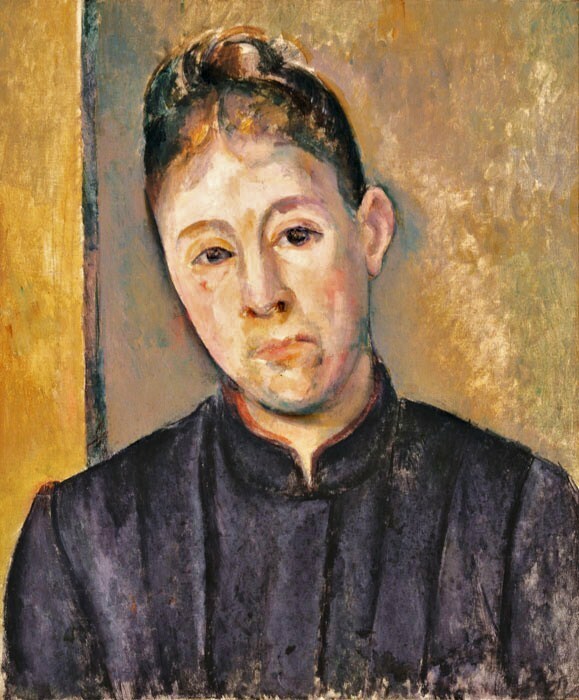 Cézanne is said to be the bridge between Impressionism & Cubism. 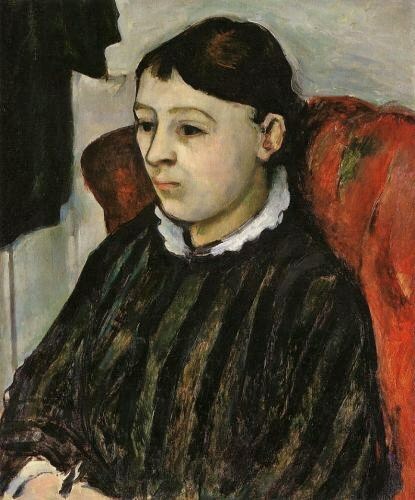 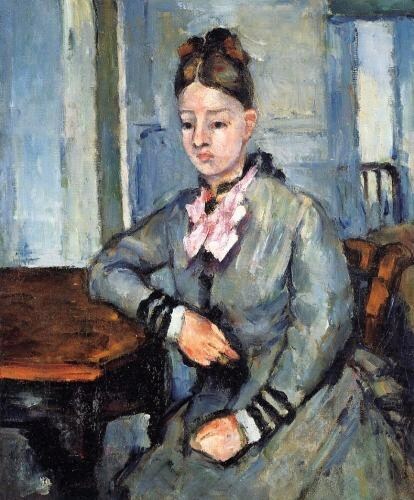 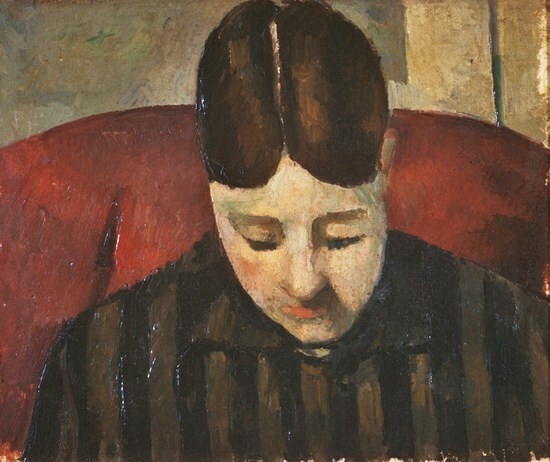 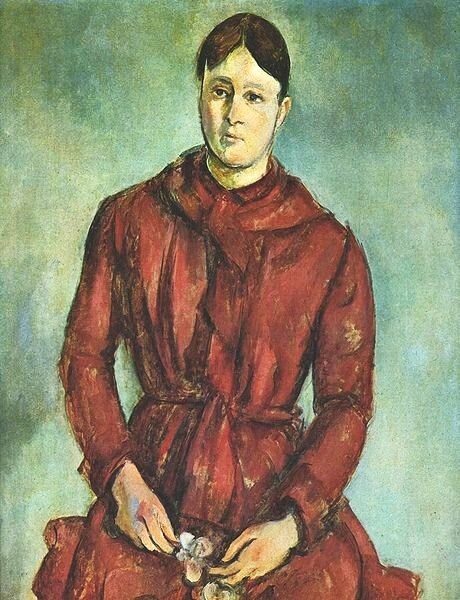 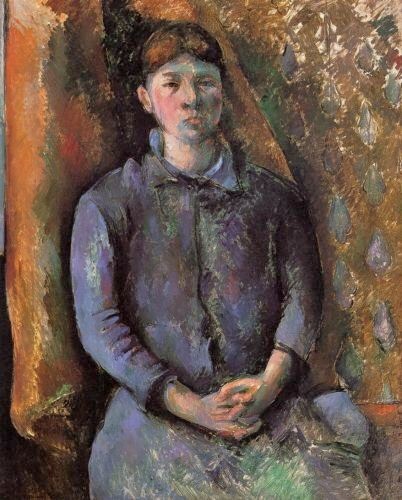 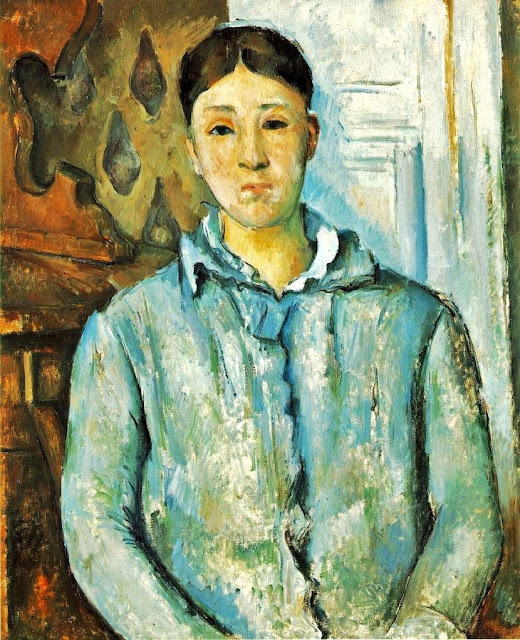 Both Matisse & Picasso said Cézanne "is the father of us all." 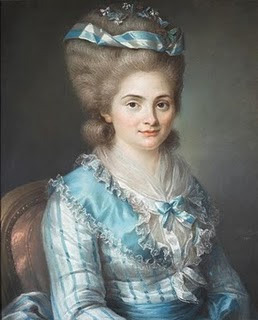 Adelaide Labille-Guiard (1749-1803), one of 8 children of a haberdasher, was born in Paris. 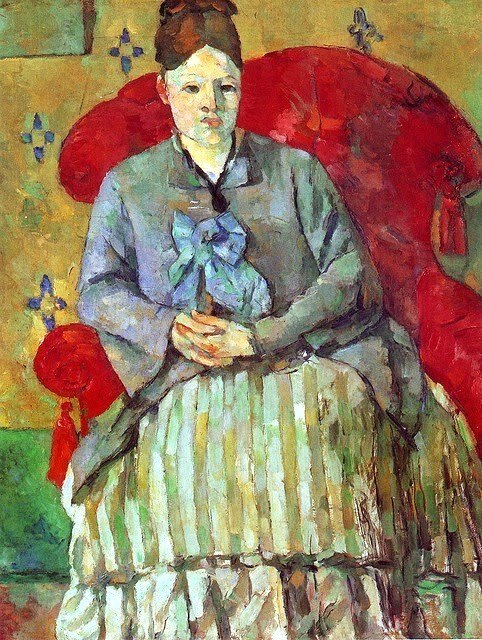 During adolescence, she studied miniature painting with Swiss miniaturist François-Elie Vincent, a family friend. 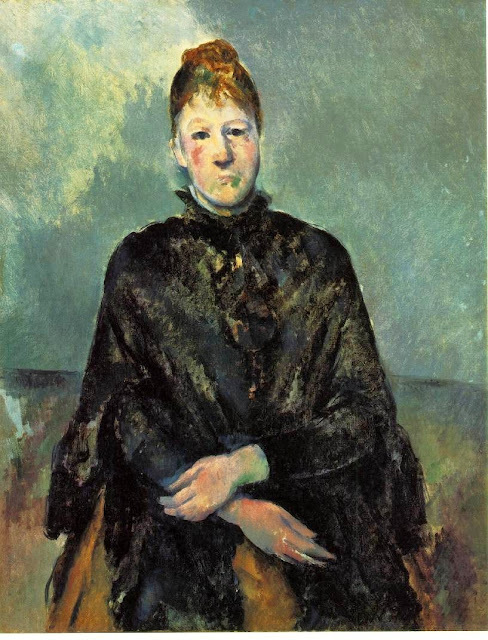 She later studied pastels and portraiture with Maurice-Quentin de la Tour. 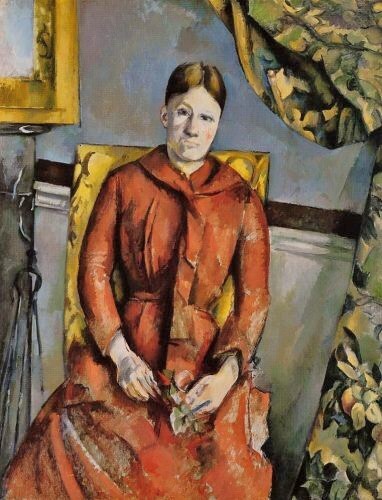 At the age of 20, she married a financial clerk named Louis-Nicolas Guiard, but the marriage wasn't successful one. 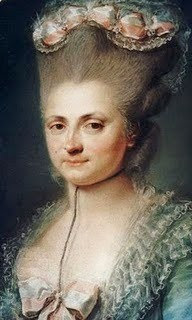 In 1779, Adelaide was granted a legal separation from her already estranged husband. 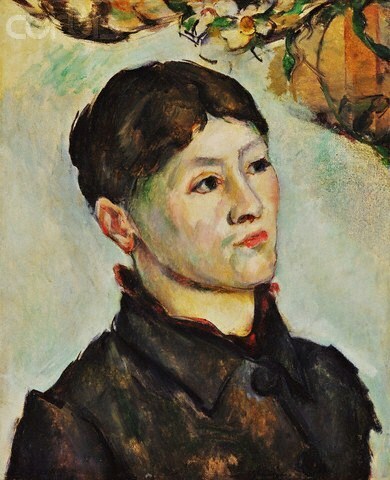 After a later reformation of divorce laws, Adelaide was finally able to marry the artist son of her former teacher, François André Vincent, whom she lived happily with until her death. 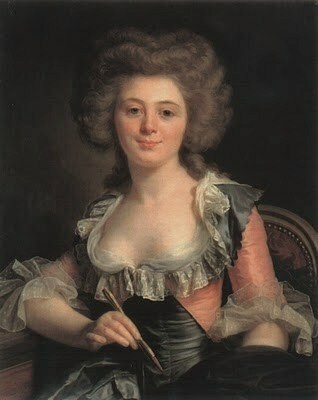 Because of the Vincent family's connections, her works were exhibited at the Académie de Saint-Luc until 1777, when it closed. 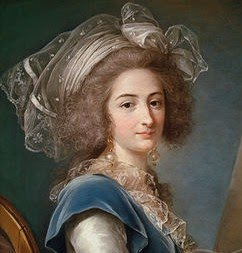 In May of 1783, Labille-Guiard was accepted as a member of the French Académie Royale de Peinture et de Sculpture. 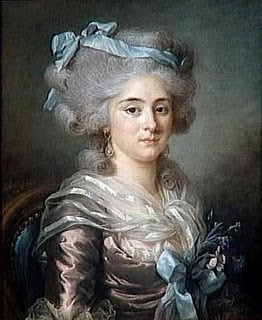 Three other women, including Élisabeth-Louise Vigée-Lebrun, were admitted as members on the same day, despite some consternation on the part of some of the male members. 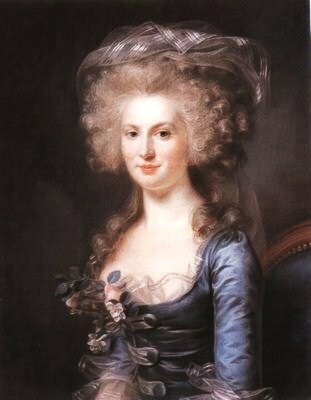 Unlike Lebrun, Labille Guillard's subjects included both the members of the aristocracy as well as revolutionary figures. 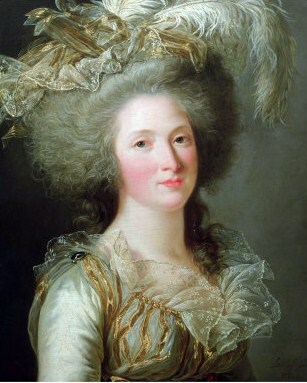 Her royal commissions made Labille-Guiard politically suspect after the French Revolution of 1789. 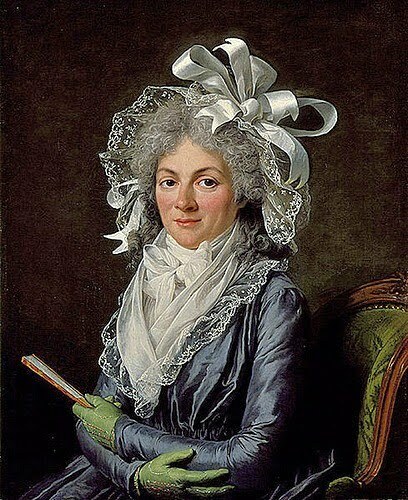 In the early 1790s, she campaigned for the Academy to be opened up to the general admission of women. 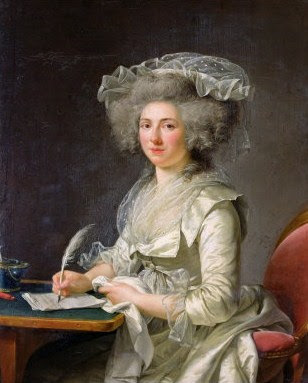 At the Salon of 1791, she exhibited portraits of members of the National Assembly, including Maximilien Robespierre and Armand, duc d'Aiguillon. 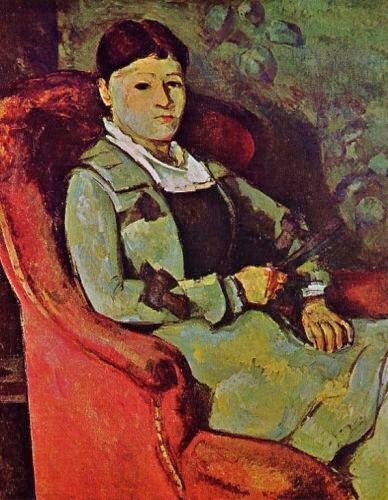 However, in 1793 she was ordered to destroy some of her royalist paintings, including the unfinished commission for the Count of Provence. 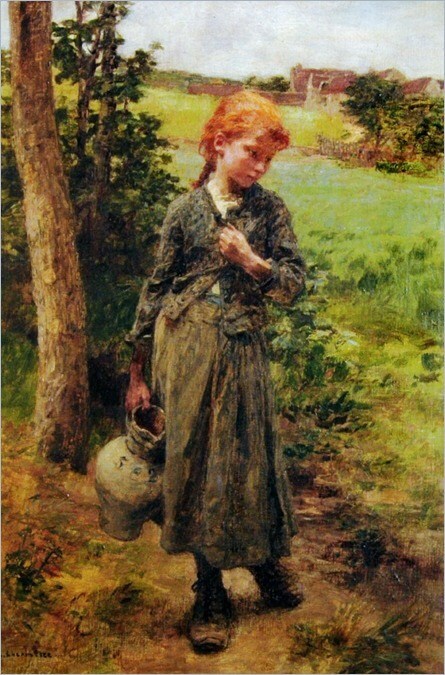 She died 10 years later. 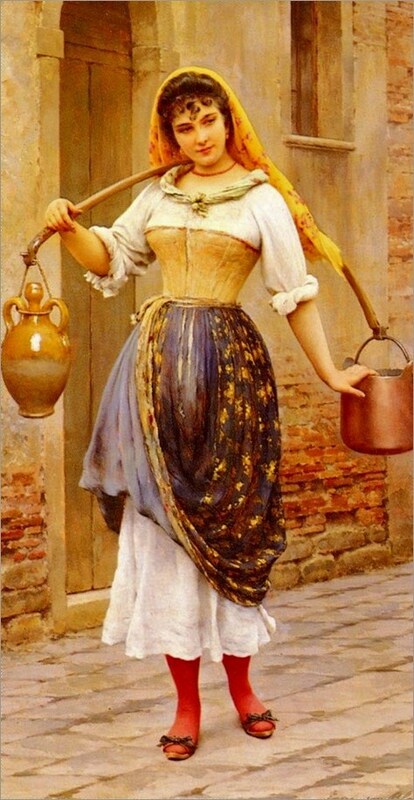 Marguerite Gérard was a French painter & etcher. 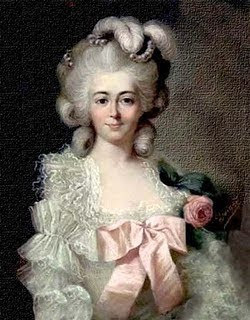 She was the daughter of Marie Gilette & perfumer Claude Gérard. 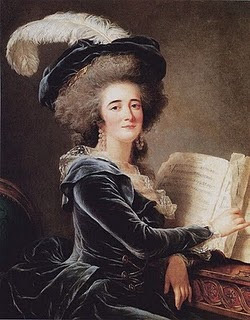 After the death of her mother in 1775, she went to live with her sister Marie-Anne & her artist husband Jean-Honoré Fragonard in their apartment at the Louvre. 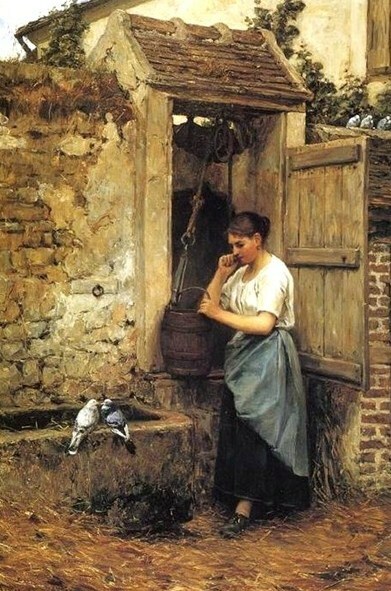 She lived there for the next 30 years as his pupil. 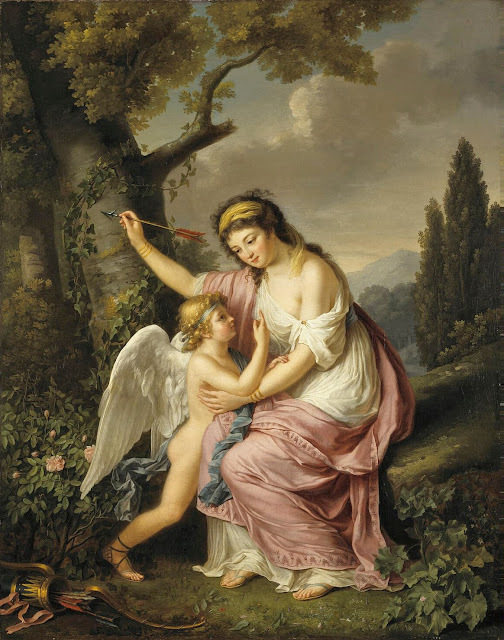 Before the Revolution her patrons were fellow painters like Hubert Robert, musicians like Grétry, & architects. 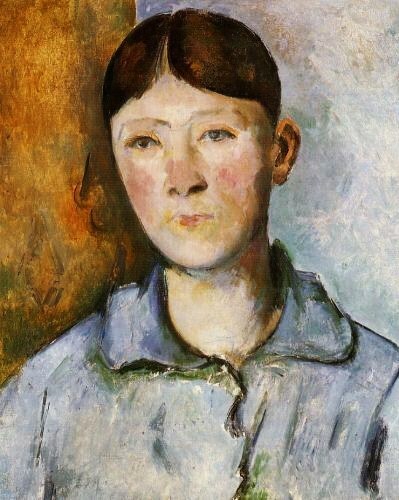 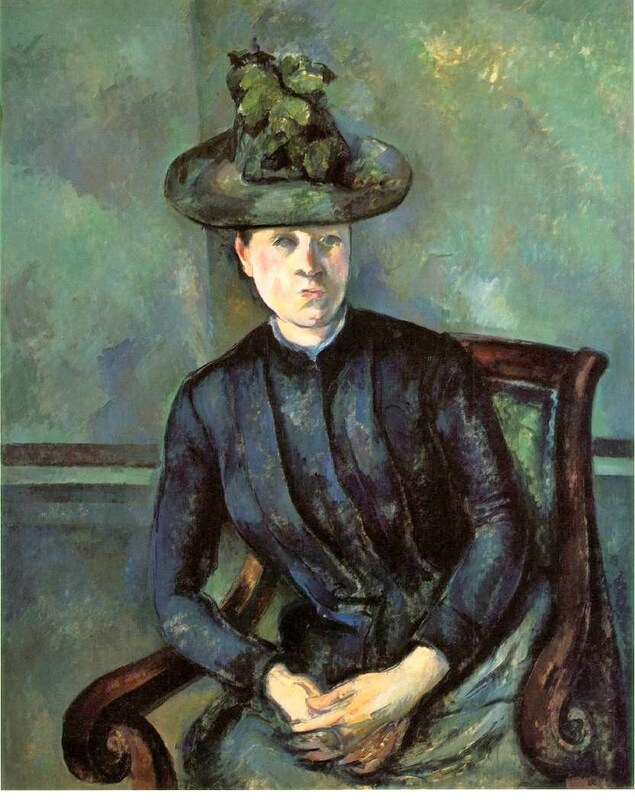 She painted no royalty, no Marie-Antoinette, no aristocrats, but educated, wealthy bourgeois. 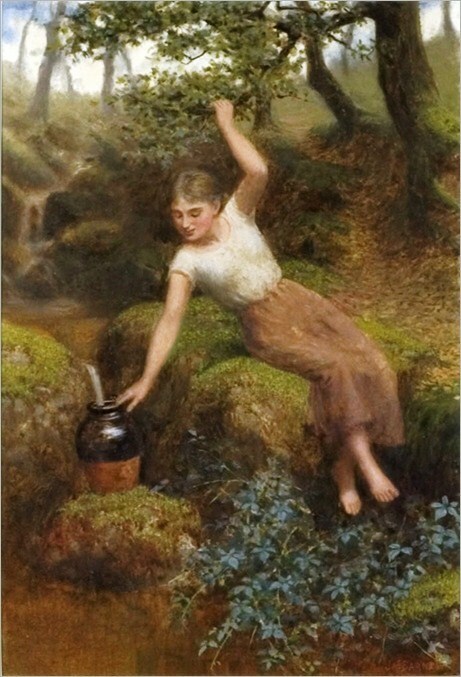 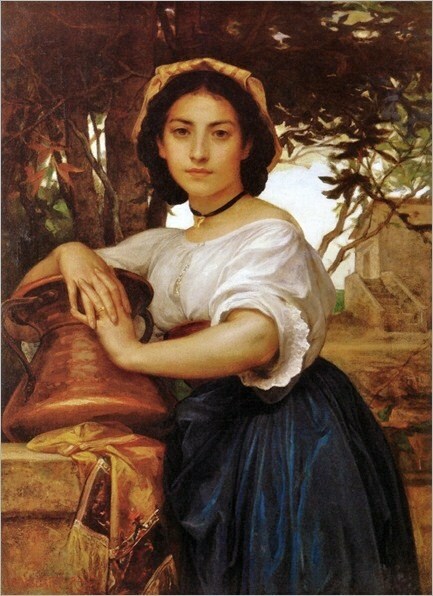 Marguerite Gérard was no Court painter. 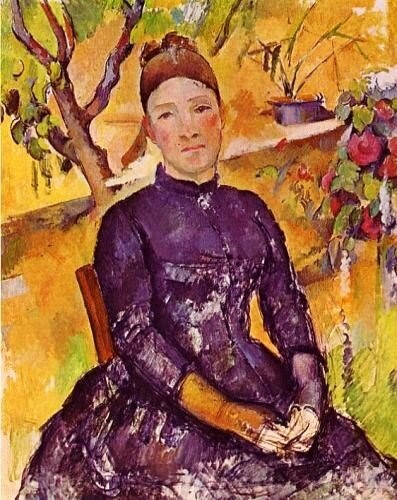 She stayed safely away from political themes, & the French Revolution does not seem to have directly impacted Marguerite’s career. 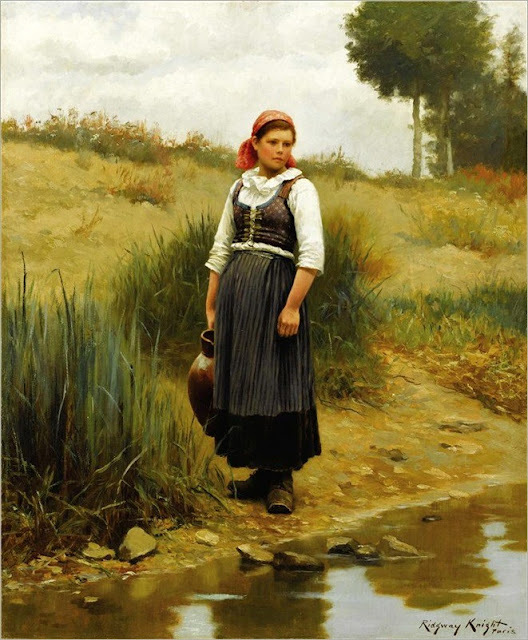 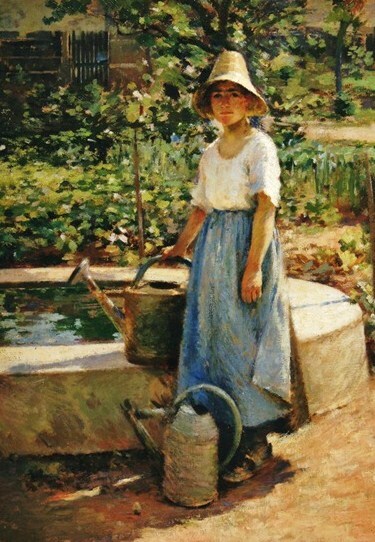 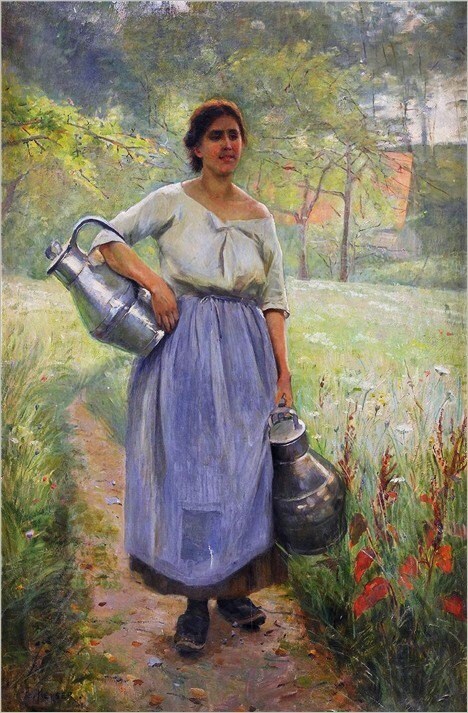 She produced intimate domestic genre scenes as well as portraits & was one of France's first successful female artists. 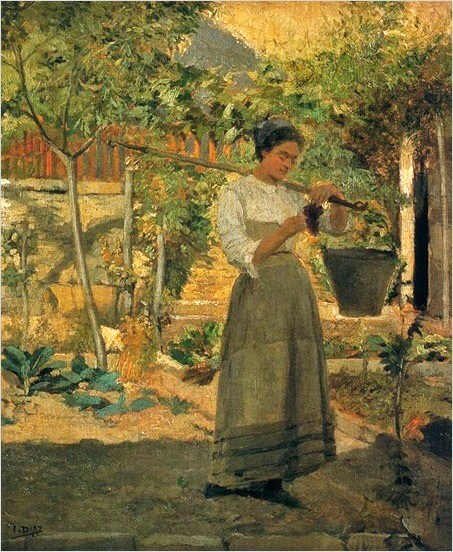 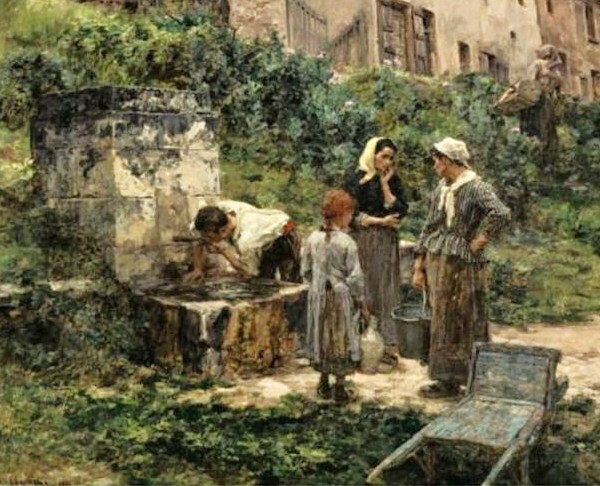 Victoire Lemoine was a French painter. 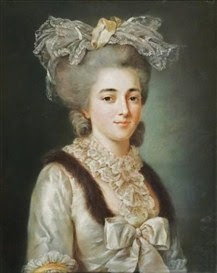 Born in Paris, where she also died, she was a student of François-Guillaume Ménageot, and took part in numerous Salons. 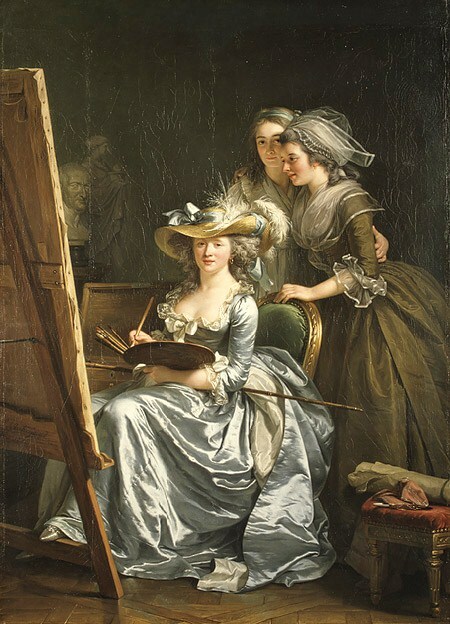 She also may have been a student of Elisabeth Vigee-Lebrun, for her painting Atelier of a Painter is probably a portrait of Vigee-Lebrun. 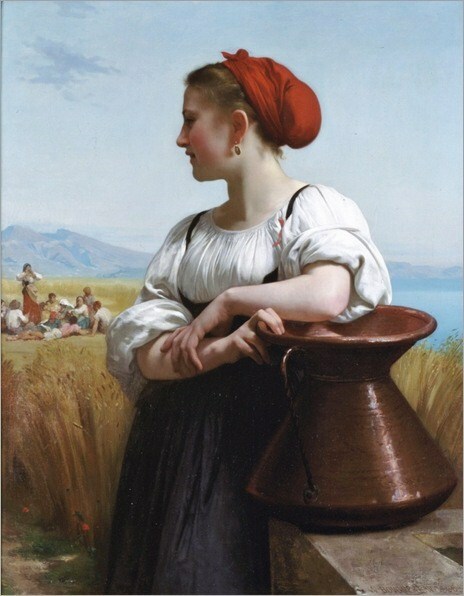 Lemoine was a portraitist & miniaturist who was part of a generation of women who were able to enjoyed considerable success as professional artists both before and after the French revolution. 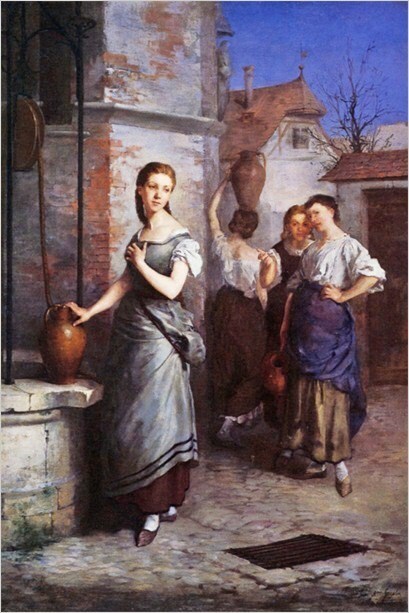 Her sisters Marie-Denise Villers & Marie-Élisabeth Gabiou also became painters.